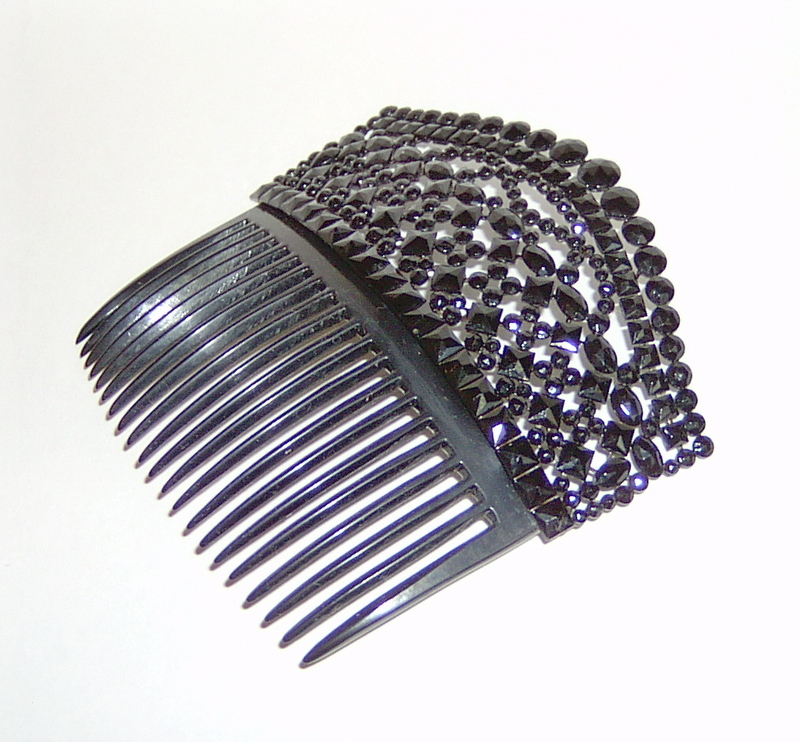 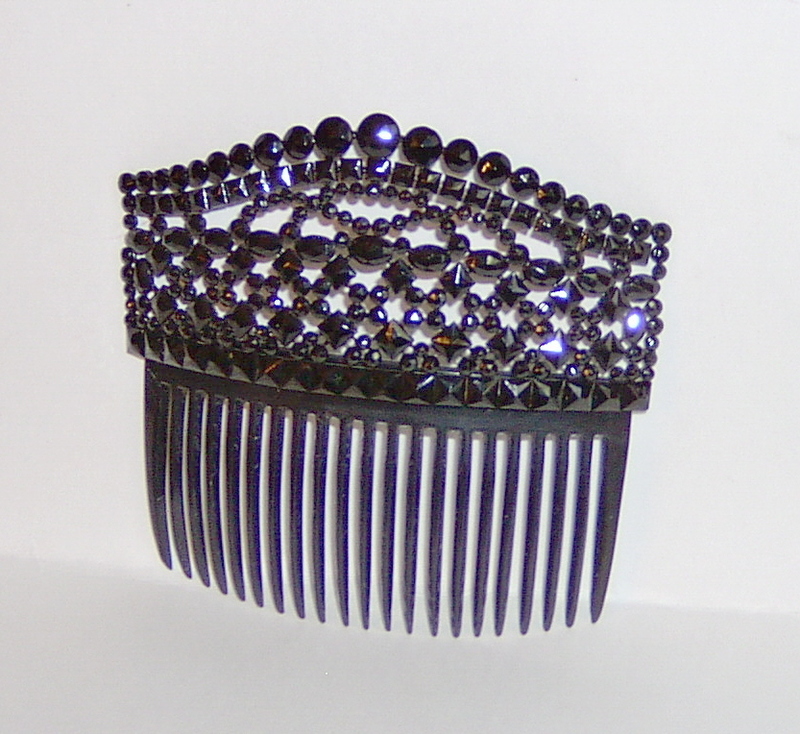 This very rare and intricate hair comb is one of the best. 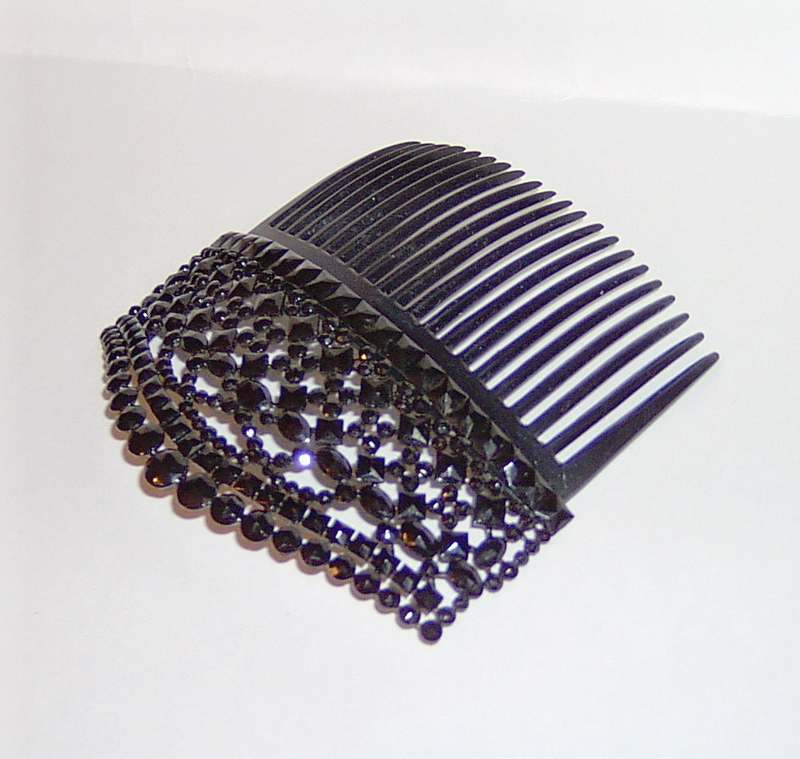 Made of black celluloid teeth it is adorned with a head of French jet beads all cut in faceted various shapes. 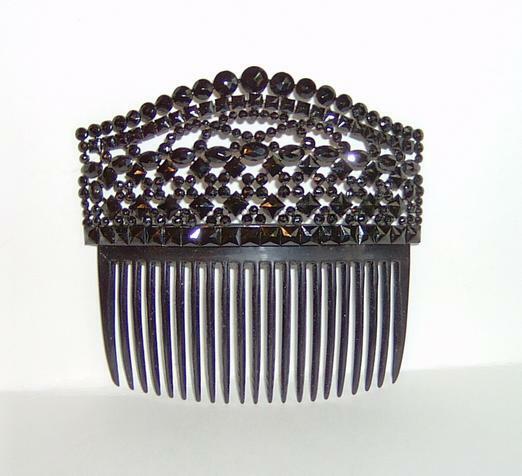 There are square cuts, tiny rounds diamonds and ovals along with graduated rounds across the top. 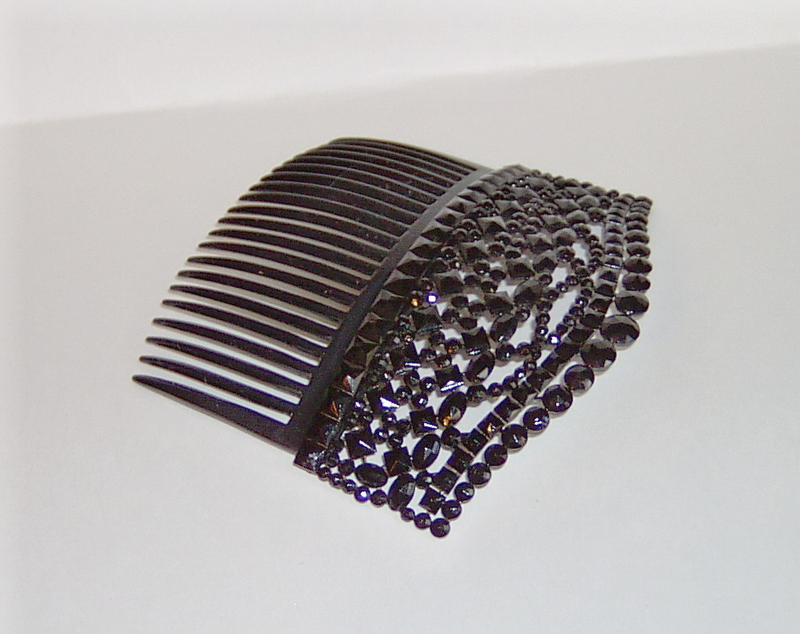 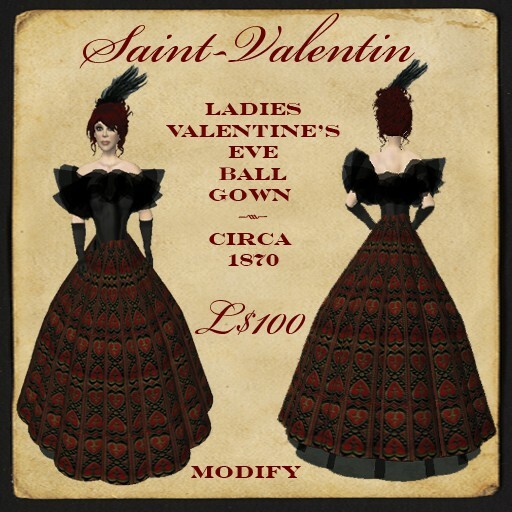 But condition is always the thing and this is just perfect with no loss of beading and no damage I can see.